With their backs against the wall in the 2016 NBA Finals, the Cleveland Cavaliers knew what they had to do to avoid falling into a seemingly insurmountable three games to none hole. But when you’re playing a team as skilled as the Golden State Warriors, it’s one thing to know what you have to do, it’s a whole different thing to go out and actually do it. Fortunately for the Cleveland faithful, the Cavs did what they haven’t been able to do since this series started: execute. With 32 points from LeBron James, 30 points from Kyrie Irving, and another 20 points — going five for 10 from three — from J.R. Smith, the Cavaliers gave the defending champs a taste of their own medicine, dominating the Dubs to the tune of 120-90. As a team, the Cavaliers absolutely played better basketball. Therefore, James is correct, it was a “collective team win.” Yet, in reality, that’s not entirely true. 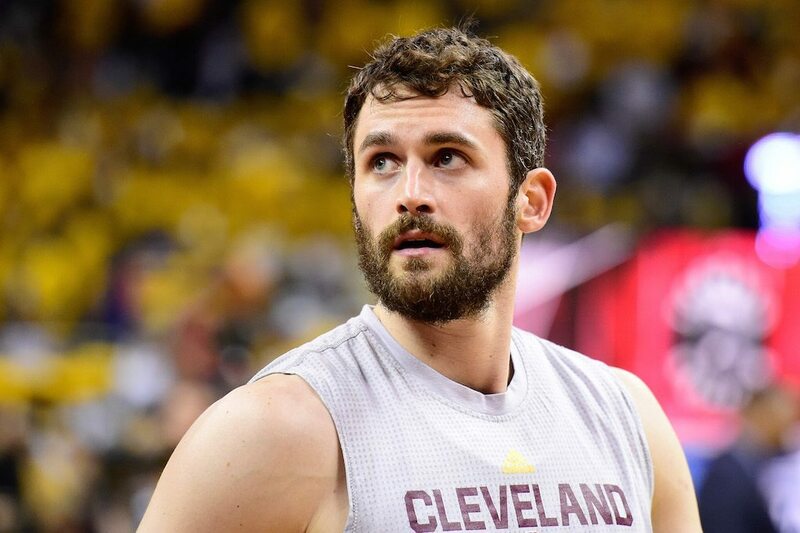 One key member of the team was missing from action — Kevin Love, who was kept out of the lineup after failing to be medically cleared following a concussion in Game 2. Which begs the question, are the Cavaliers better when he’s not on the floor? In public, the Cavaliers wouldn’t dare say such a thing. Behind closed doors, however, they could be a singing a different tune. With that in mind, if the Cavs believe they’d be better off without Love, here’s a look at three NBA teams who might be interested in acquiring the All-Star forward. The Denver Nuggets might seem like an odd landing spot for Love, but when you take history into account, it actually makes perfect sense. When Love was still with the Timberwolves and first put on the trade block, the Nuggets were among those with serious interest in acquiring him, actually putting together an interesting offer for the power forward. If Cleveland determines after these Finals that Love’s services are no longer needed, we wouldn’t be surprised if Denver makes another run at him — and we’re not alone. In the opinion of Chris Dempsey of the Denver Post, a trade between these two parties would be beneficial for everyone involved. In exchange for Love, the Cavaliers could acquire draft picks along with veteran players who are more suited to play in Tyronn Lue’s uptempo offense. 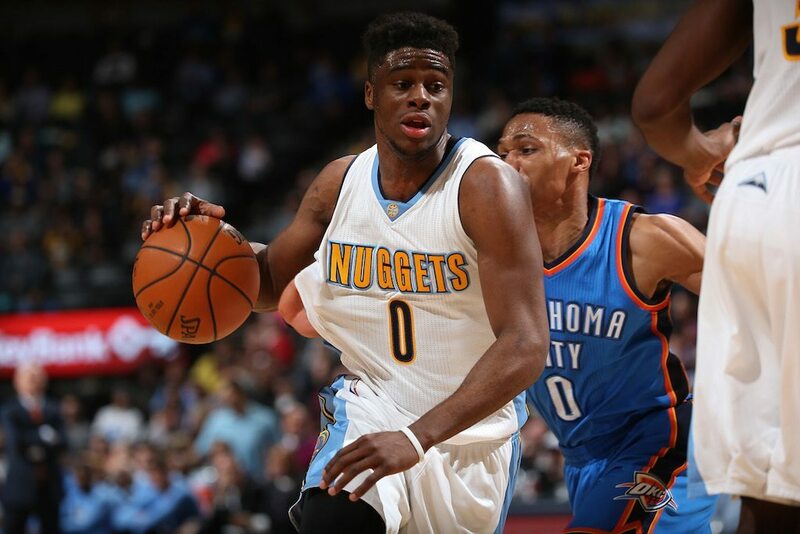 In return, the Nuggets would finally land themselves the star player they crave. Looking at the numbers, the Nuggets need more than just one star if they’re going to stand any chance of competing in the Western Conference. However, if they believe Love is the first step in the right direction, you better believe they’ll gauge the Cavs’ interest. As they say, if at first you you don’t succeed, try, try again. At first glance, the New Orleans Pelicans don’t have the available cap space in 2016 to take on a contract of Love’s size, however, since the salary cap for the 2016–17 season hasn’t been officially set, we’re going to leave the finances out of this. For us, this is about overall “fit,” and which teams would benefit the most from Love’s services. 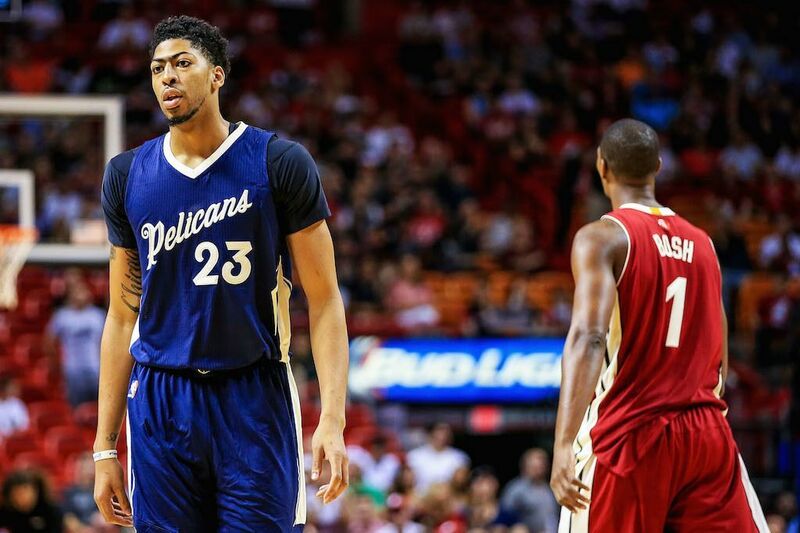 From that standpoint, the Pelicans are impossible to overlook. After making the playoffs in the 2014–15 season, the hiring of coach Alvin Gentry in the offseason was supposed to help New Orleans — and superstar Anthony Davis — take things to the next level. Unfortunately, that did not happen. This year, the Pelicans went 30-52, Davis only played in 61 games because of injury, and the club took a major step backwards. It’s clear that this team needs more than just a revised offensive philosophy, it needs another star player to complement The Brow. Enter Love: a guy who’s not suited to be a team’s third option, yet could probably handle being the No. 2. Although Love would most certainly not help the Pelicans with their floundering defense, he would provide them with another legitimate scorer, one who could take some of the burden off Davis’ shoulders. In a league where one superstar talent can’t necessarily win the whole thing by himself, this is exactly the sort of addition New Orleans should look for. We’ll see if it actually happens. You can’t talk about trading for a superstar and not mention the Boston Celtics; an organization that’s been craving a player of this caliber for so long that we even suggested they do a deal with Philadelphia for Jahlil Okafor. Of course, it should be noted than when it comes to Love, it’s not as if the C’s haven’t attempted to make a play for him before. If they lose again, I’d bet big on Love being elsewhere — a split that might end up the best thing for everyone. Cleveland and Boston had trade talks for Love at the deadline, though they died with Boston offering a low-ball package the Cavs wouldn’t consider, according to several league sources. 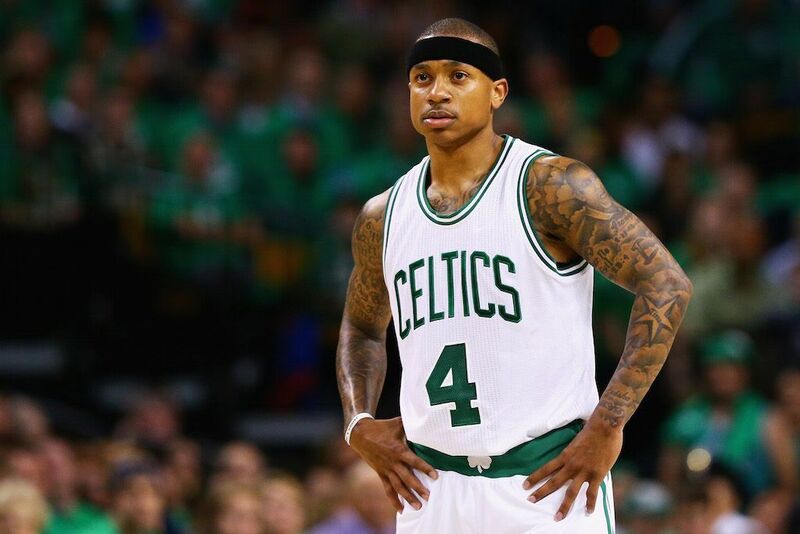 Even if Boston’s interest has faded, someone will call Cleveland about Love around the draft. Wiggins has more trade value than Love now, but that deal was the right move at the time. It’s not surprising to hear people suggest that Love’s time in Cleveland could be coming to an end if the Cavs once again fall short of their championships aspirations. Now, however, the conversation has shifted to a different question: What if the Cavs actually come back to win the series? After watching this group play its best game of the 2016 NBA Finals without Love, perhaps they really are better when he’s not on the floor. One thing’s for certain, we don’t expect these trade talks to go away anytime soon, and you better believe the Boston Celtics will be in the conversation. Statistics courtesy of Basketball-Reference.com, ESPN.com, and Spotrac.com.